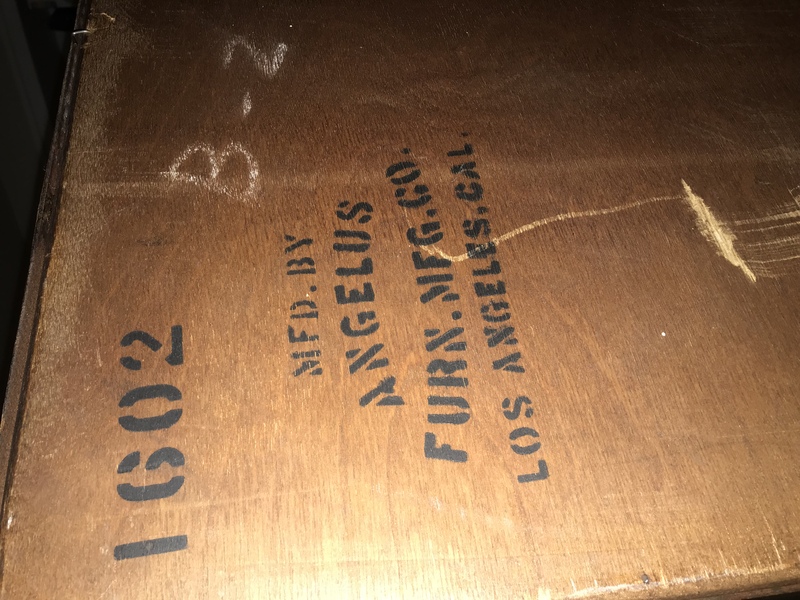 This is a numbered piece from Angelus furniture company in California. The number is 1602. I purchased it to paint but realizing that it is a numbered piece, I'm rethinking my original plan. Any idea to the current value, I believe it has all of the original hardware? 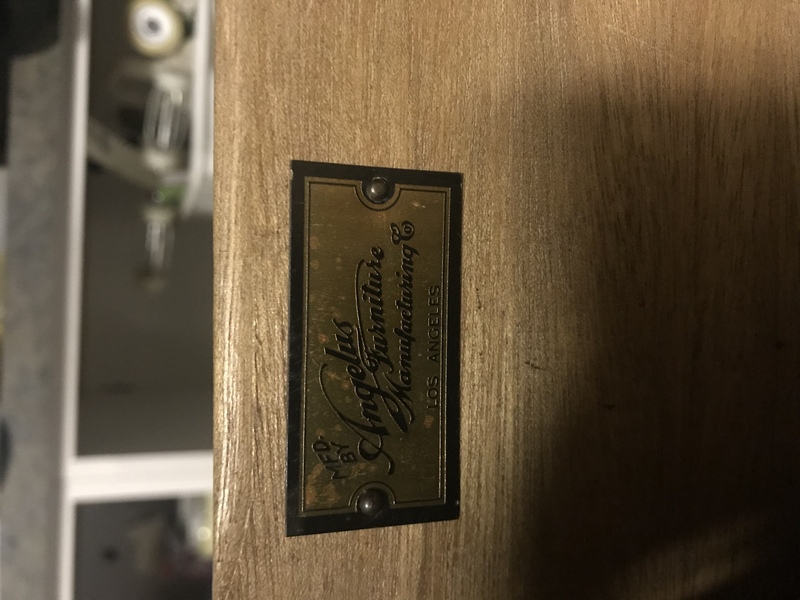 Angelus Furniture was located in East Los Angeles since the 1920s, I'm not sure if they are still in business. 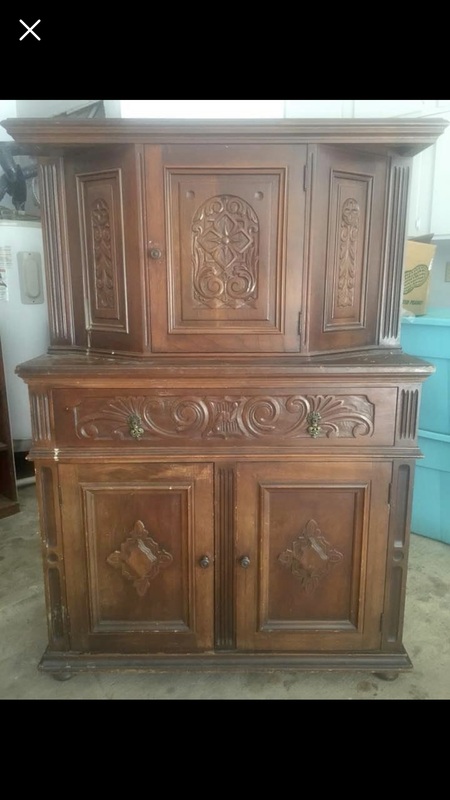 Cabinets of this type are in what's called the "Jacobean Revival" style. Jacobean Revival pieces are reproductions of the original Late 16th to early 17th Century English furniture. The Jacobean Revival style first became popular during the early 20th Century. 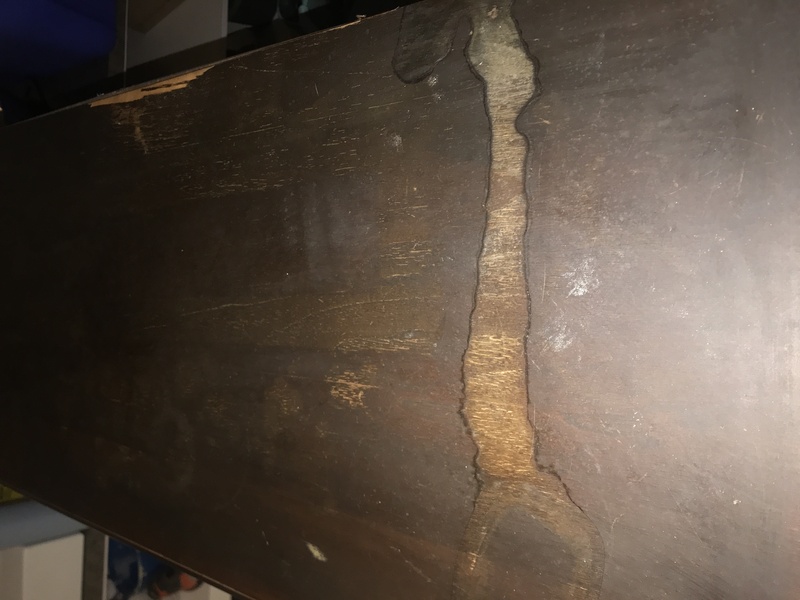 Feel free to refinish it if need be, it won't lower the pieces value.